Free your kitchen of clutter from pots, pans, and cleaning supplies. These useful tips will give your kitchen a more open space. While you may not be able to knock out a wall or add more square footage to your kitchen, you probably have more space than you know. 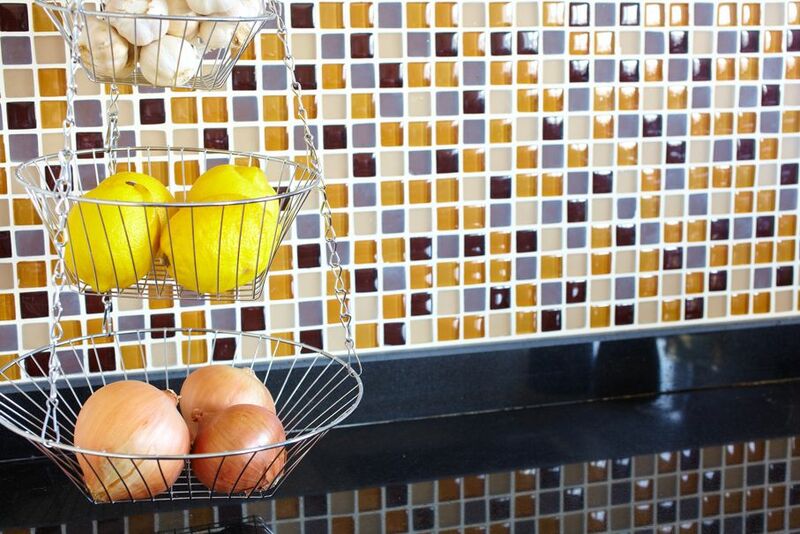 With a few helpful storage tips, you can improve your kitchen’s organization and give yourself more room. You probably store your dishwasher detergent, sponges, and other cleaning supplies under the kitchen sink. Doing this is effective, but it can also get cluttered quickly if you aren’t careful. When trying to organize all of your cleaning supplies, reaching under and around the bottom of your sink and its pipes can be frustrating. 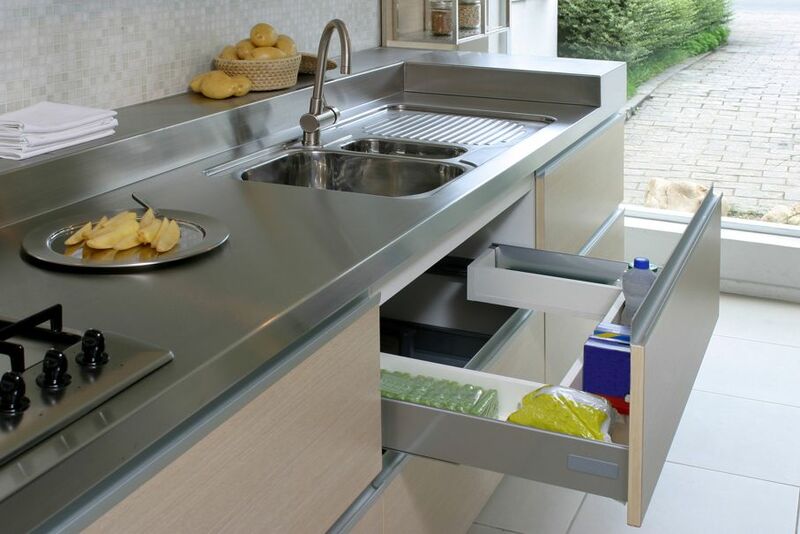 Instead, consider adding a drawer that sits at the bottom of the cabinets under your sink and pulls out easily. You can even add sections to the drawer to make organization easier. This way, you can put everything in order easily and you don’t have to dig around every time you need a sponge or a bottle of cleanser. Water bottles can take up a lot of space when you put them side-by-side in your kitchen cabinets. You can instantly increase your cabinet space by placing one or two magazine filers on their sides with their openings facing the front of your cabinet. Slide your water bottles in on their sides, stacking them, and create more space for glassware and dishes. Here’s another way to adapt office supplies as kitchen storage solutions. Get a wall-mounted “inbox” or file holder and hang it on the inside of a cabinet door. Place all of your plastic food storage lids in here, and you can easily grab them whenever you need them. Plus, placing them here keeps them in order without constantly matching them with their containers. In effect, you can stack those containers more compactly and save more cabinet space. You will probably notice that you have some unused wall space in your kitchen between your counter and cabinets. A couple of shelves or hanging baskets can be added relatively easily. It will remove your fruits and dry goods from the counter where they can often get in the way of food preparation. Instead, they’re “floating” above the counter, out of the way, in its own storage area. Finally, if you have fairly large drawers that get easily cluttered, you can use tension rods from window curtains as drawer dividers. 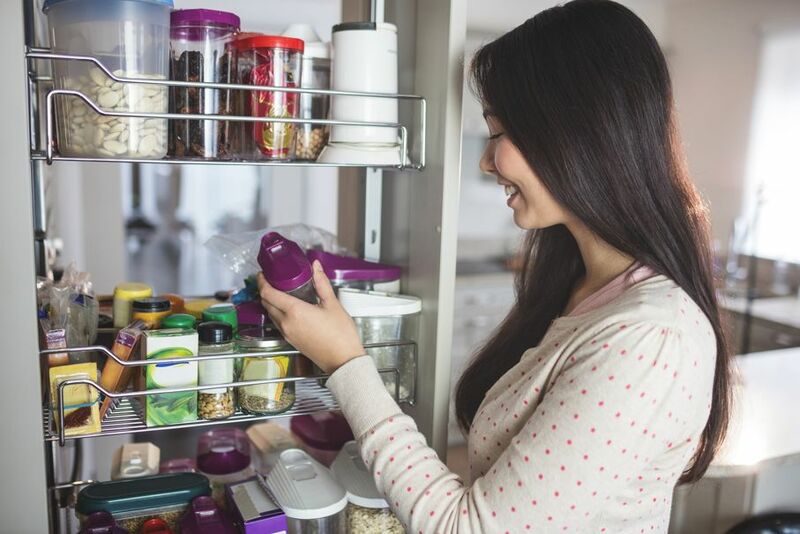 Place two rods parallel to each other, and you can store lids for pots and pans vertically instead of throwing them in horizontally wherever they happen to land. 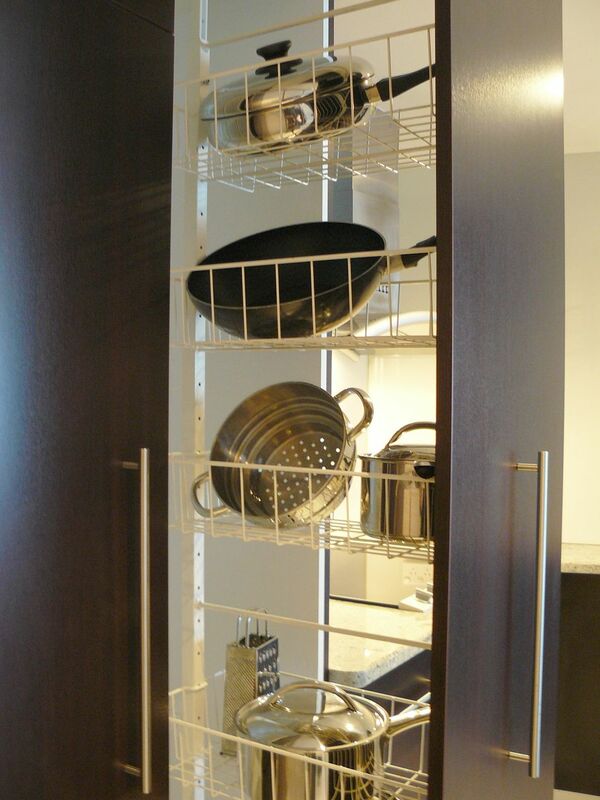 These dividers also create a plain view of your dishes, pots, and pans and will provide swiftness after reorganizing items.